The English message follows after Japanese one. Air and breath are essential to the existence of all human beings. However, despite its healing powers, more and more people are disconnected from their breath, creating anxiety and stress in their lives. 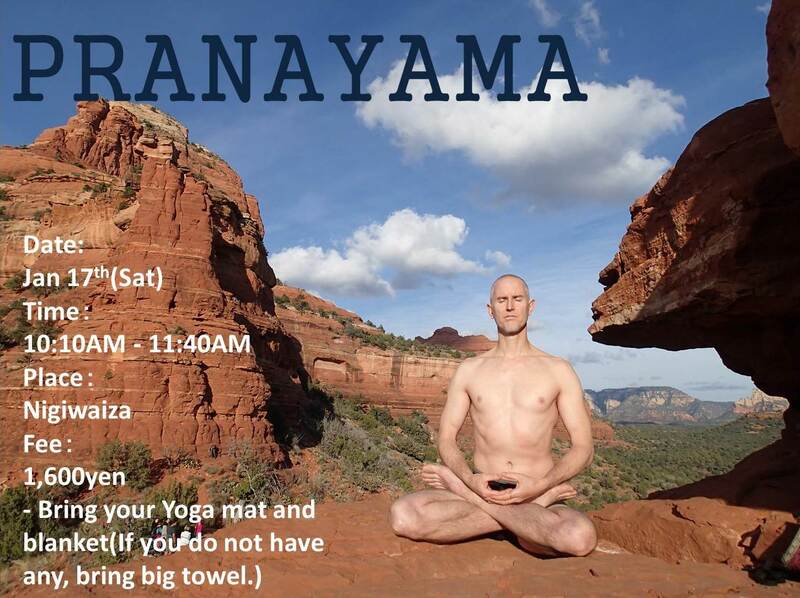 In this pranayama class we will explore the healing powers of the breath and what it can do to us mentally, physically and emotionally. We will start out with some yoga to warm up the body and then explore different breath exercises.